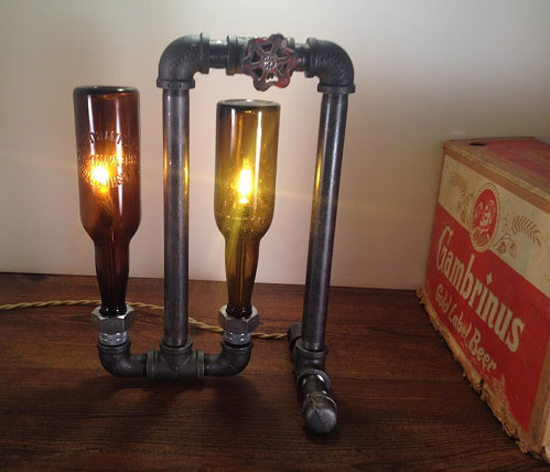 Are you a beer nerd seeking stylish lighting options for your home or office? 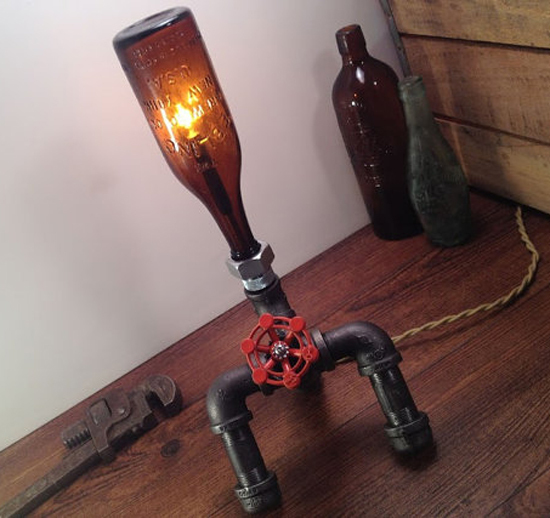 Look no further than Peared Creation’s awesome lamps made of vintage beer bottles. The company offers a ton of different lamp styles, including desk or table lamps, stand-up lamps and outdoor lamps. And all of them are made of unique and stylish combinations of gas-pipe, vintage beer bottles and funky on/off hand cranks. You can also pick your own vintage beer bottle based on its U.S. state of origin, though Peared Creations only offers bottles from a handful of states. Pricing varies widely based on the type of lamp, but you can get a vintage-bottle outdoor sconce lamp for just $85, plus shipping, and a desk lamp for as little as $95.00. Visit Etsy.com for a look at some of the lamps or make your own at PearedCreation.com. Neat idea you got here. This will fit especially to those people whose homes were decorated with “abstract things”. Here are some home interior lighting guide (https://www.getkuna.com/blogs/home-interior-lighting-guide/) which are definitely useful!